With a rounded tone and delicate touch, the Steinmayer S108 is the perfect choice for the beginner. 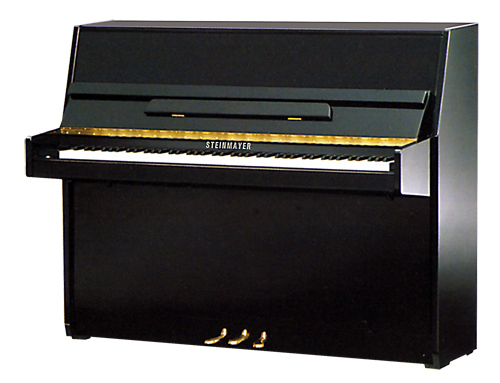 Its compact size gives a great sound whilst its contemporary cabinet makes this piano an beautiful addition to any modern home. Available in Black Gloss, Dark Mahogany Gloss and Mahogany Gloss.